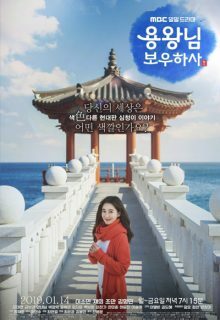 Korean drama “Protect the King” revolves around a woman named Shim Chung (Lee So Yeon) who sees the world in various colors and a man who sees the world only in black and white. This drama needs to resolve and stop the revolving door of catch-and-release. This isn’t intrigue, it is annoyance and jerking around your viewers…disrespectful of your audience and the drama as a whole. The plot is so slow it is like watching grass grow. Seriously, when will writers/PD get the message that you can’t make a drama with more than 30 episodes without it becoming a bust and a bore? Move on!